This is according to a press release from the Government Information Service dated February 7, 2019, which states that in accordance with the Elections Act 1994 and amendments, the Deputy Supervisor of Elections shall assist the Supervisor of Elections in the discharge of her functions and perform such duties or exercise such powers as the Supervisor of Elections may direct. Her appointment takes effect from January 28 until April 28, 2019. Mrs Smith presently serves the Government of the Virgin Islands as the Chief Training Officer attached to the Department of Human Resources, where she directs the learning and development portfolio for approximately 3,000 employees. She also served the Training Division as the Assistant Human Resources Manager then as the Senior Administrative Officer. Mrs Smith holds a Master of Arts degree in Human Resources Development and Consulting (with Distinction) from Lancaster University in the United Kingdom and a Bachelor of Business Administration in Human Resource Administration from Temple University in Pennsylvania. 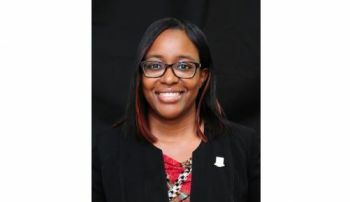 She is a member of the Association for Talent Development, the Society for Human Resource Management and the National Society for Collegiate Scholars. Other election officers including presiding officers, poll clerks, counting officers and tally clerks will be appointed in the coming weeks in preparation for the February 25, 2019, General Election. Yes! Good choice. I endorse this appointment.